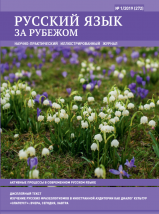 The journal Russian Language Abroad is a professional journal for teachers of the Russian literature and Russian language as a foreign one. 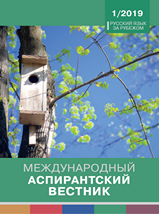 The journal presents training materials that can be used in class, articles on teaching methods and linguistic problems, training aids, texts for reading, news in the field of teaching Russian to foreigners, announcements of various conferences, seminars, student contests and other events. The journal has been published since 1967. For its nearly 50 years history the it has earned a lot of true friends in virtually all countries of the world where the Russian language is studied. The volume has been increased to 128 pages and new design introduced. And the most important change is that now the journal is released six times a year.